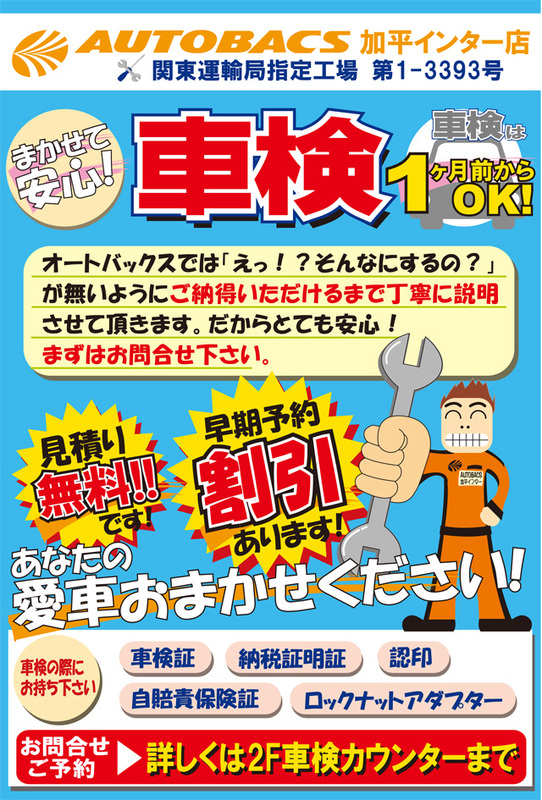 Earlier this year, Dom put together an awesome and very comprehensive shaken (車検) guide explaining how to get Japan's mandatory vehicle safety inspections done by yourself at your regional Land Transport Bureau. I got excited, printed up all the necessary forms, and started scanning my calendar for a date, only to realize I'd arranged my schedule in such a fashion that there'd be no way for me to visit my bureau on a weekday to get the tests done. Fearing exorbitant costs, I started shopping around for businesses who would take care of my shaken for me on a Saturday or Sunday. Turns out, this route is not as rough on the pocket as many online sources had always led me to believe. As long as you've kept your car in good running condition over the years, you should be able to have a company take care of your shaken for as little as 8,000 yen above the base fees and taxes required of every car by the Land Transport Bureau. From what I learned during my experience, this dramatic reduction from figures in the hundreds of thousands of yen often quoted in the past is thanks to considerable loosening of vehicle inspection laws in Japan over the last decade; maintenance that used to be mandatory, such as always replacing not only the brake fluid but all of its seals, is now optional, as long as the mechanic deems the parts to be in good running condition. So, over my next couple posts, I'll share the other side of the shaken experience, the "white-glove" treatment, although I really suspect the user shaken would not have caused significantly greater inconvenience, if only I'd left myself a weekday or two available.